Do you remember watching the movie Cool Runnings when you were a kid? Both my husband and I fondly remember watching this movie and we were thought it was the perfect time to share it with our kids, since the Winter Olympics are about to begin. My sons are 5 and 8 and they both loved this movie which is based on the true story of four Jamaica athletes and their their journey to the Winter Olympics. There a few words in the movie that may not be appropriate for small kids, but overall, this movie is really funny and entertaining. It's a positive story about athletes who face so much adversity, but never give up. It's definitely a winner in our house, and I have a feeling we will be watching Cool Runnings over and over again this winter. I've been wanting to write about bumble bee crafts and kid's activities for a while, and I'm really excited to share these ideas with you. 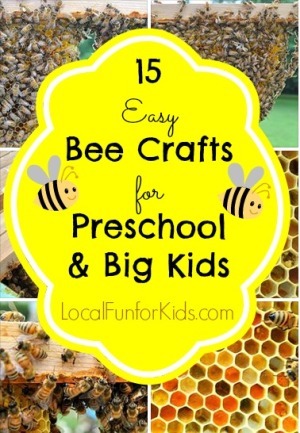 This post has all of the best preschool and children's crafts about bees that I could find. Now, they're all in one place! But, before we get to that, I want to tell you what piqued my interest in these little honey makers. My sister started beekeeping this year, and it's been so fascinating learning about the colony and all of the little things that can go wrong for a beginner bee-keeper. Through it all, she has stuck with it, and her hive is doing amazingly well. My nephews and sons, ages 2 through 8 are learning too. They love seeing the progress of the bee hive and knowing that these backyard bees are helping local fruits and vegetables grow. 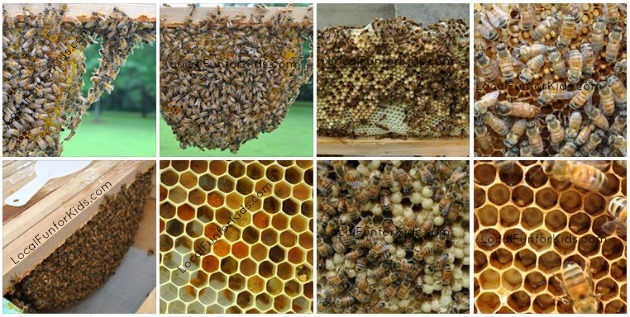 The photos above are from her hive. Isn't it beautiful? It would be great if more kids knew how valuable honey bees are to our planet. One easy way to get a conversation started is with a craft or a book. Here are my top picks for bumble bee themed fun with kids! If you were looking for a simple preschool, kindergarten or elementary school craft, I hope you found something here that you like. 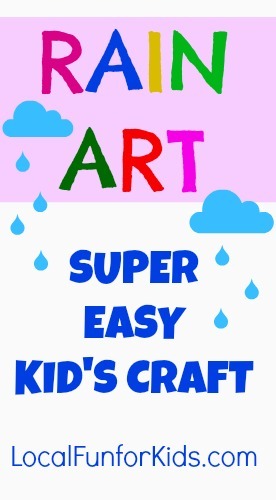 Obviously, each of these art projects is appropriate for different skill levels and ages, so you'll need to see what will work best for you and your child. Did you know that September is National Honey Month which gives us the perfect excuse to celebrate bees and teach our kids how important honey bees are us and our future! Do you have any other crafts, activities or tips for helping children learn about bees? If so, please comment below. We've met the new teachers, did a test run on the school bus, purchased way too many school supplies and we are ready! My kids are just as excited to for school to start as I am. Overall, it was been an excellent summer, and now, we're all looking forward to the school-time routine beginning again. become more independent. And, I have a million things on my to-do list for the next few months. What are you looking forward to the most? Do you have a little one at home that you'll be busy with? If so, check out these new ideas from the Kid's Co-op. It can be hard to keep a preschooler busy during the summer. It's the age where nap-time seems to disappear, but they still want A LOT of attention. With warmer months ahead, it can be fun to incorporate water activities into your summer routine. Water play for preschoolers gives kids a chance to get wet, use their senses and play. What could be better for a 3-5 year old? Over the summer, I'll be sharing more wet n' wild ways for kids to have fun and stay cool, so be sure to come back! 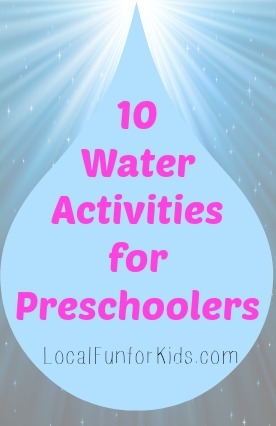 If you have any creative ideas for preschool or big kid water play, leave a comment below or send me an email. I may feature your idea in an upcoming blog post! Now, onto this week's Kid's Co-op! This summer, one of my goals is to make my kids more independent and helpful around the house. They are both at good ages where they can: help in the kitchen, help to keep the house clean, and help to keep things organized. But, as a lot of moms can relate, just because they know how to do these things, doesn't mean it's easy to get them to actually do it. I think that's the reason why last week's #1 most popular post in the Kid's Co-op was called "Simple and Easier Ideas for Building Toddler Self Help Skills." I know a lot of parenting experts advise never to do things for your child that they know how to do for themselves. However, as we're rushing out the door, working to get dinner on the table or trying to get the kids in bed, sometimes it's just easier to do things for the kids instead of allowing them do it themselves. This summer, I'm going to dig a little deeper into chore charts and building independence for my kids. What are your goals this summer? I have to admit, I like rainy days. I'm not talking about rain every single day, all year round, but, every now and then it's a nice change. On rainy days, my kids really need to use their imagination to keep busy. Sometimes they end up playing in the rain and other times we bake or do crafts. Rain Art is a combination of two of those things. Happy Thursday & Welcome to the Kid's Co-op! This is a weekly feature here at Local Fun for Kids. 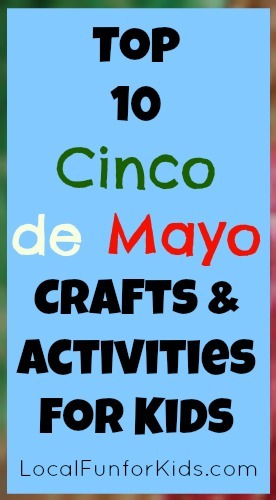 I, along with a group of other bloggers, bring you the latest and greatest greatest kid-friendly crafts, activities, educational resources and recipes. I know many of us are in sports-mode right now. Spring is in full swing! On the go-dinners, late nights and schedule changes can be tough, but having the chance to spend more time with friends and seeing my kids do what they love makes it worth it. Summer is around the corner and there will be many moments where moms everywhere, including myself, need quick boredom busters for their kids. I'm not talking about complicated crafts that you have to plan ahead or buy lots of supplies. I'm talking about EASY boredom busters where you can mostly use things you already have around the house. Babble recently published a post called 25 Sensory Recipes Play Recipes for Kids. I was so excited to see my Sand and Sea Keepsake highlighted in this post! There are so many other cool sensory play ideas in this post, I have to share it with you. Just a reminder that it's time to sign up for the Kids Bowl Free program. Kids Bowl Free is a summer bowling program hosted by 1000 bowling centers in the US & Canada. Kids receive 2 free games of bowling everyday during the summer. There is no cost to participate. How do you register for The Kids Bowl Free Program? You can watch this video to learn more or just head on over to KidsBowlFree.com to sign up. Registration is open now for many centers now and more are opening every day. Pssst... they are are working on mobile coupons, so hopefully we'll be using this new paperless system soon! Have you participated in this program? Are you a loyal Kids Bowl Free family? Most of today was wet and dreary so I'm doing a happy, spring-themed post to lift my spirits. To my family, spring brings lots of sports and outside activities. Chatting with friends beside the soccer field. Cheering on the kids as they hit a ball past second base. Chasing the kids around the neighborhood as they run from one activity to another. Enjoying walks with friends. 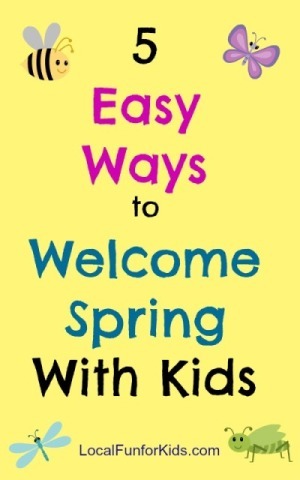 I have 5 easy ways to welcome spring and I want to share them with you. Every time I see bird seed in the store, my creative juices start flowing. Maybe that's weird, but it's true. There are just so many cool bird feeders you can make with the kids, and, it's the craft that keeps on giving, since the kids get to watch birds come and enjoy the tasty treat. 1) Everyone knows that a pine cone makes an awesome bird feeder, right? Let your kids spread peanut butter, lard or left-over cooking fat on the pine cone. Roll the pine cone in bird seed until it's covered, and then tie a string securely to the top to hang it to a tree or porch. 2) Don't have pine cones? We used popcorn cakes, bacon fat, peanut butter, bird food, food coloring & string. You can read more about these easy bird feeders here. Toilet Paper Roll Bird Feeders are also very easy to make and great for preschool age kids. 3) Smile Monsters made this adorable heart bird feeder (shown above), which would also be a precious craft for Valentine's day. You can find her complete tutorial here. 4) String donut-shaped cereal on yarn to form a simple bird feeder. This is great for enhancing children's fine motor skills and it couldn't get any easier. Just let your kids put all of the cereal on the string. Once it's filled up, simply tie the two ends of yarn together and voila - you have a necklace shaped bird feeder which can be easily hung from any branch. 5) Reycle a used milk carton and let your kids make their own special bird feeder. You will need to clean the carton well . Then, once it's dry, your kids can decorate the outside of it any way they want. Cut out a square opening about 2/3 up from the bottom of the carton. Make a hole in the top so that you can secure some yarn to hang it. Then, fill with bird seed and let the birds enjoy! We want to keep our kids and the birds happy. So, here's a tip from the Cornell Lab of Ornithology: In order to prevent birds from smacking into your windows, move your feeders "to within 3 feet of the window or greater than 30 feet away. When feeders are close to a window, a bird leaving the feeder cannot gain enough momentum to do harm if it strikes the window. If feeders are more than 30 feet from a window, the birds are less likely to perceive windows as a pathway to other parts of your yard." See.. you learn something new everyday! Do you have any other bird feeder craft ideas or tips? Leave me a comment.